Work-related injuries can commonly occur in dangerous occupations such as construction jobs. However, there are many ways an employee can also be injured in non-dangerous occupations. All employers are required to maintain their workplace up to safety standards set forth by their state guidelines and will be liable to you under certain circumstances when your injuries are a direct result of workplace negligence. When you are injured, not only will you feel physical and emotional pain, but it may also take a toll on you financially. Medical costs are oftentimes very expensive. Depending on your injury, you might not be able to go to work to pay for those hospital bills. 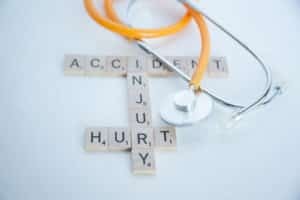 Therefore, it is important that you receive accurate advice and guidance on how to pursue your workers’ compensation claim to make sure that you are able to recover financially for your injuries. In New York, you are not required to retain an attorney for a workers’ compensation claim, but it is well-advised to do so. Attorneys experienced in the field of workers’ compensation will be able to explain exactly what you need to do, as well as facilitate the process. Even if you’re not sure that you want to file suit, attorneys usually give free initial consultations without any obligations. They will also not charge you until you receive compensation. Therefore, you have nothing to lose for simply inquiring about a potential claim. While you are protected by New York’s workers’ rights, most lawsuits take a lot of time and it can be difficult to handle this process without the expertise of an attorney that has handled these cases before. In the past, people that are inexperienced or unfamiliar with the legal system that have tried to sue without legal representation have received less compensation than they could have received with a lawyer on their side. While it is ultimately your choice whether you want to retain an attorney, your chances of receiving full compensation without much hardship on your part will be increased when you hire an attorney. In New York, the first thing you should do following an injury is to obtain medical care. As soon as you can afterward, you should notify your employer in writing, within 30 days of the accident or else you may lose your chance of recovering compensation. There will then be forms that will need to be filled out. A New York attorney will know exactly which forms you’ll need, where to send them to, and who to contact when you need personal injury compensation. After your claim is filed, you’ll need to follow your doctor’s instructions for recovery, as well as possibly attend court hearings that you are required to go to. You will also need to go back to work once you are capable to mitigate future expenses. Lastly, you are also able to sue for workers’ compensation on behalf of a close family member if he or she is unable to do so. At O’Brien and Ford, we have years of experience in the legal system and continue to stay updated on any New York law developments. We strive to help injured people receive compensation that they deserve while making the process as easy as possible for our clients. An injury can be tolling on your day-to-day life, but the lawsuit doesn’t have to be. Call us today: (716) 330-2901.